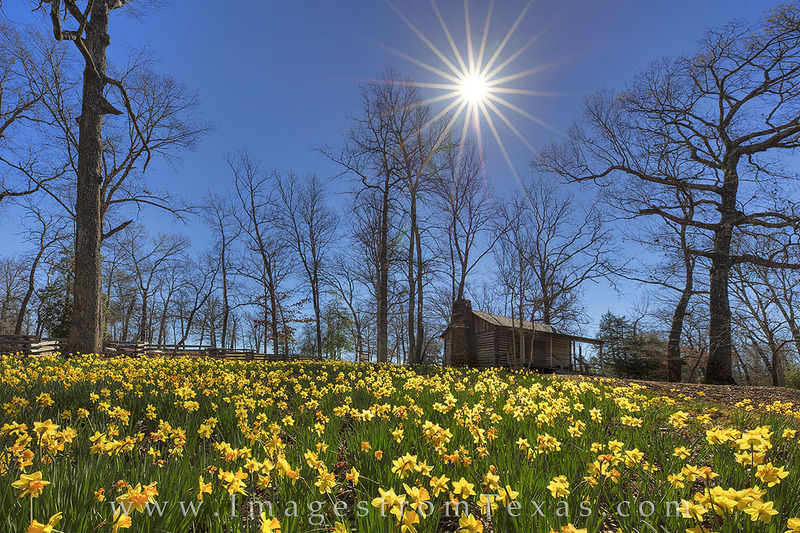 Daffodils bloom by an old cabin at a daffodil garden near Gladewater, Texas. These golden wildflowers bloom each February, only lasting for about 2 weeks. If you get a chance, get out some year and enjoy the 4 mile loop through this private property that is opened a few weeks each year for spectacular sightseeing! Photo © copyright by Rob Greebon.